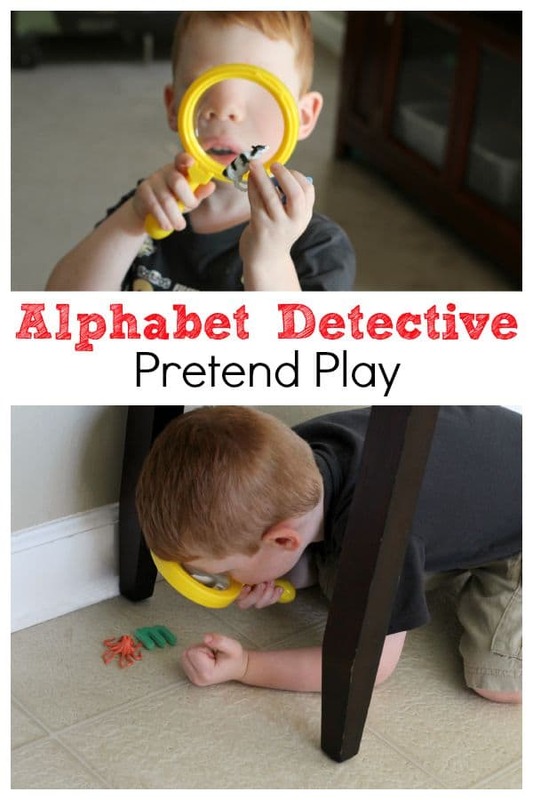 We had so much fun with this alphabet detective pretend play activity! Use the clues to find the missing letters and crack the case. Don’t forget your magnifying glass! Evan loves pretend play. We have a large toy box full of pretend play accessories and costumes. Plus, wall hooks with costumes hanging on them. 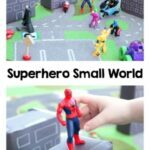 My kids are engaged in pretend play almost every single day and often many times throughout the day. Most of the time, I don’t set anything up for them. I let them use their own imagination to come up with props or story lines. However, on occasion, I like to set up scenarios or props for them. 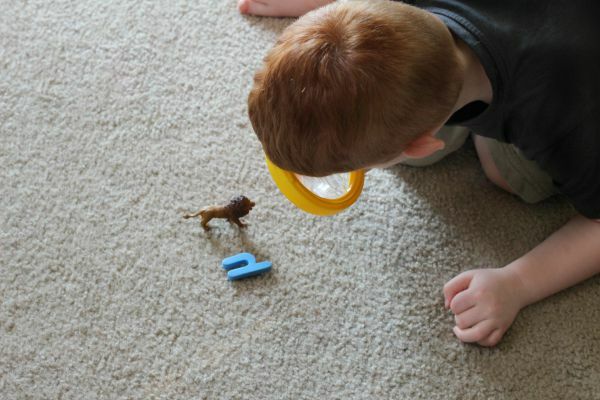 Sometimes, I use pretend play to teach them about something or practice a skill. I thought it would be neat to set up a pretend play scenario in which Evan got to be a detective and solve a mystery. I knew he would be super excited about the premise. 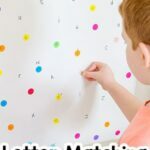 Then I decided to use this an opportunity to work on letter identification and beginning sounds. The premise of this mystery is that some of the letters from the alphabet puzzle have gone missing and we need to find them. We must look for clues and use them to help us find each missing letter. You don’t need to remove all of the letters from the puzzle. 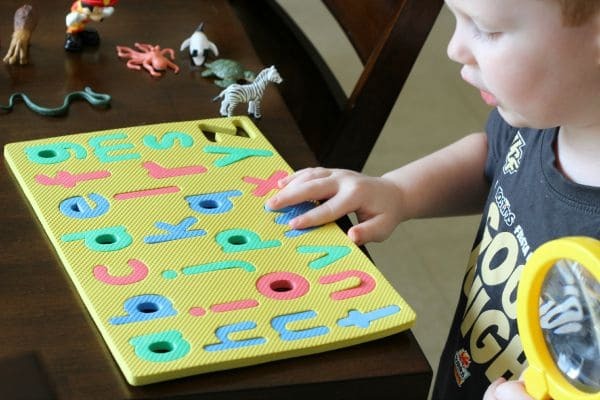 Just choose the letters you want to work on or have items to represent the beginning sounds for. I used about 15 letters from the puzzle. 2. Hide each letter you removed from the puzzle. 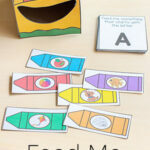 With each letter, leave the toy (clue) with the beginning sound that represents the next missing letter. For example, I hid the letter “a” and next to it I placed the bear toy. Evan then found the “a” and the bear. He put the “a” back in the puzzle board and then decided that “bear” starts with the letter “b” and went looking for it. When he found the “b” he also found the next clue – a cow. He knew that cow starts with a “c” so he went looking for the letter “c” puzzle piece. 3. 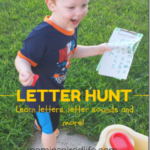 Leave the clue for the first missing letter and the magnifying glass out so that your child has everything they need to begin their mission to solve the case of the missing letters! 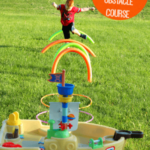 Evan LOVED this! I mean he totally got into it. He thought he was a real detective solving a real case. 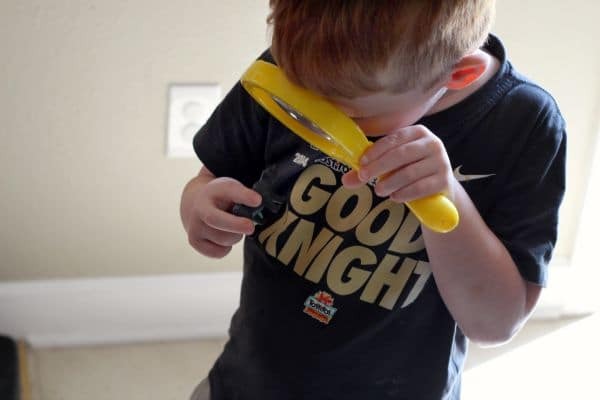 He used the magnifying glass the entire time. 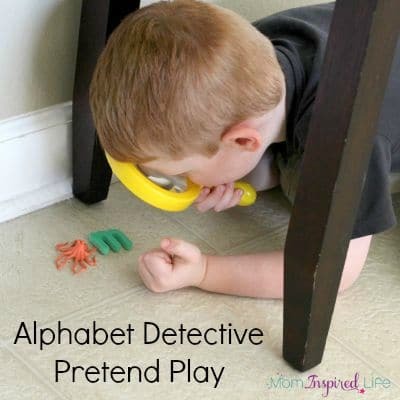 He looked at every clue with the magnifying glass and inspected it like a real detective. I don’t think he had a clue that he was learning letters and beginning sounds. He was just having tons of fun! 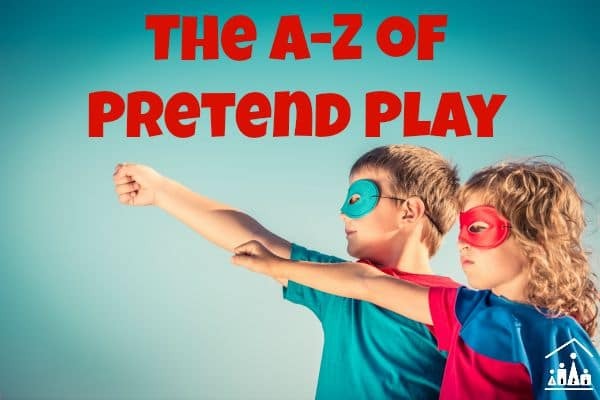 This post is part of the A-Z Pretend Play Series. 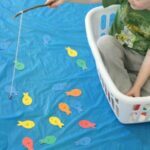 A bunch of kid bloggers have joined forces to bring your dramatic play activities for each letter of the alphabet. 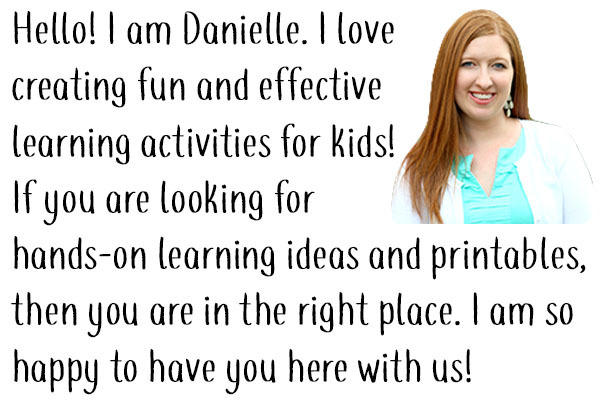 Make sure you head over to the landing page to see all of the other awesome pretend play activities!